Art Market Magazine Issue #38 - PUBLISHED! The international magazine for Contemporary Fine Art. 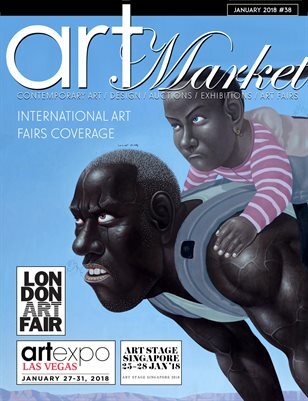 We are most delighted to publish 2018 first issue, with a special coverage of three important international art fair: ArtExpo Las Vegas, Art Fair London and Art Stage Singapore. We also featured special exhibition coverage, including David Hockney and Edvard Munch at the MET museum, and a coverage of Josef Albers in Mexico, exhibition at the Guggenheim museum. You will also find in this month's issue Art Auction Results, most interesting articles and Coverage of exhibitions from all over the world, emerging artists and so much more! Enjoy!